If you like your greens and your “green” then these veggies are calling your name. Tasty vegetables infused with seasonings and a touch of that special herb to uplift the entire dish. This dish is perfect for the health consious stoner and is a nice light lunch, snack, or sidedish to another great meal in the stoner cookbook. Get started by pre-heating the oven to 200 degrees. Lightly canna-butter a shallow roasting tin and set aside for later. Cut onions, tomatoes, potatoes, bell peppers, and zucchini into wedges and you want them to be all around the same size so that they cook through evenly. Sprinkle in the salt and pepper and mix together. Now place the cut and seasoned veggies into the roasting tin and spread them out. Throw that into the oven and let them baake for 30-36 minutes or until the vegetables are tender. 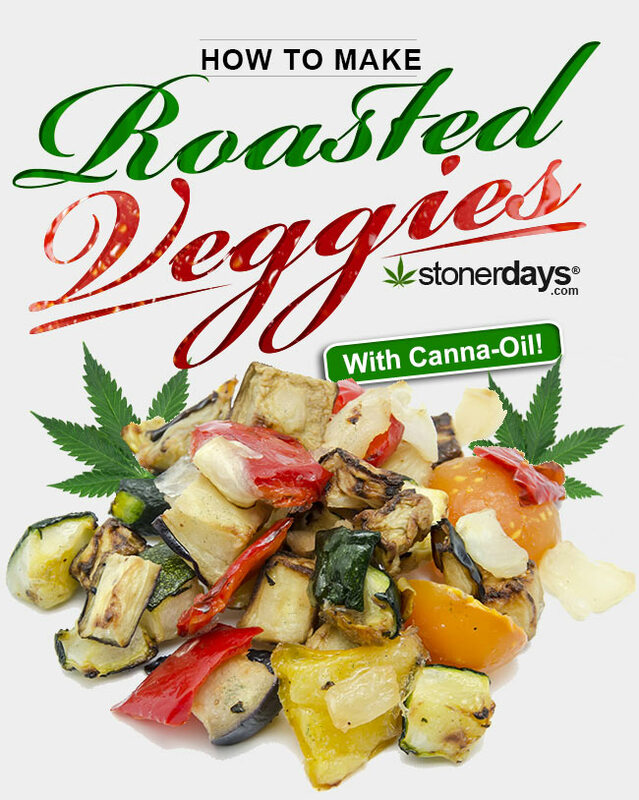 In a small bowl mix together the canna-oil, honey, balsamic venegar, and 1/2 of the lemon juice. Once the vegetables are done cooking, remove from the oven and let cool for 3-5 minutes then pour the beautiful canna-oil mix on top and add the grated parmesean. 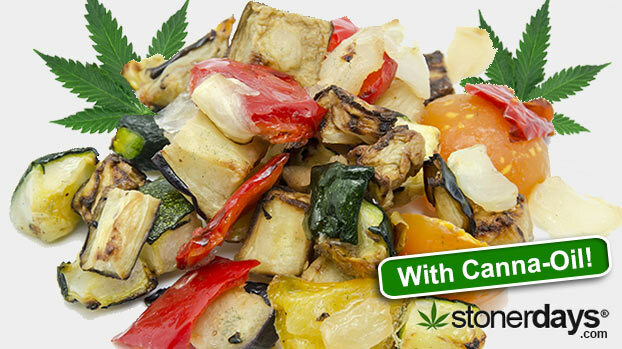 Serve yourself up a heaping portion and see just how happy these veggies make you feel… And thats how to make roasted vegetables with marijuana, enjoy! This entry was posted in Stoner Cookbook. Bookmark the permalink. LOVE OUR BLOG? CHECK OUT OUR PRODUCTS!